Cooper Real Estate - It's Not Just the Location!! It's Not Just the Location!! This beautifully maintained home is located in the popular and sought after estate of Innisfail and is centrally located, within close proximity to schools, shops and transport. This corner block with rear access for extra car/boat/caravan or trailer, boasts a 4 bedroom home and offers all the comforts you need. Main bedroom with ensuite and walk in robe, central bathroom with bath and remaining bedrooms with built in robes. It also features a separate lounge, tiled open plan kitchen/meals area with additional living area and low maintenance yard with double garage. Additional features include ducted heating, split system and dishwasher. This Home is Perfect and will tick all your boxes! Call Cooper Real Estate today 9747 9111. We found the selling experience easy, stress-free and received prompt correspondence. We are located in Sydney and selling an investment property in another state can be stressful if you don’t have the right team behind the sale. Receiving a call on Saturday afternoon’s right after the open homes had finished was a key-factor and kept our mind at ease that the sale was being actively worked on. With an uncertain market, agents can sometimes shy away from these actions however the team at Coopers Real estate were honest and forthcoming. Thanks for your help, a tremendous sales result and constant communication. We’ have no hesitating recommending you to anyone! I want to thank Ross & Staff for their great support and fantastic efforts in selling our property. Great to deal with Ross having grown up in Melton. Knew what we wanted and delivered in less than a week. The Staff were amazing and kept me informed constantly. Thank you!! Highly recommend. Awesome team! So helpful and made for a very easy sell. Highly Recommended! Fantastic customer service, was always prompt with replying to all emails and returning my calls. They were even available for us on a Sunday! Which made work and personal life easy to manage. We are very happy with Cooper Real Estate. Can't thank the team enough. Thank you Cooper Real Estate! My partner and I have had the pleasure of dealing with this real estate for a few years now. They are always very professional and friendly. The staff are fantastic. 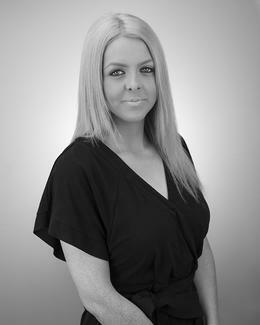 The best real estate agent in Melton, the staff are just amazing and give everyone a fair go. They provide excellent customer service. I have never had a problem dealing with any of the staff. Helpful, friendly team. They look after my properties and look for good, reliable tenants for my rentals. Both the sales and rental teams are run well. Ross and Trish are approachable for any problems at any time. Would recommend them to my friends looking to buy or rent out a property. A huge thank you to Ellie and the team at Cooper Real Estate. Ellie has been wonderful from start to finish. Ellie has always made herself available, answered numerous questions and gone above and beyond her role to make our first home purchase all we had hoped for. Thank you Ellie! Just wanted to say a big thank you to Ellie Dean for selling me my first home. You were fantastic as a sales person, no pressure, gave me as much time as I needed to really look over the house to make my final decision. Will be coming back to Cooper's should I ever need to buy an investment property. Will recommend Cooper's and Ellie to all my friends when they are looking to buy. Thanks Again. Dean and I would like to extend our personal gratitude for all your work and professionalism in the sale of our 2 properties in Geelong West. Your attention to details such as photography, presentation of advertising material and prompt exchange of sales contracts was wonderful. Thank you again for the enormous amount of work, which no doubt contributed to the achievement of great sale outcomes. We would not hesitate to recommend you to any prospective client. Thank you so much Ellie for making our dream a reality. It was so great having someone so helpful when purchasing our dream home. You made the whole experience so much better. Thank You Again. I am so very impressed by the professionalism and determination shown by Simone Taylor and Ross Cooper throughout the sale process of my unit in Prahran. I was kept in the loop the entire way and knew they had my best interests at heart. They provided an exceptional customer service experience and I would highly recommend this agency to anyone considering selling their property. We would like to thank Ross and the team for their honest approach and professionalism in helping us sell our home. Cooper Real Estate saw the potential in our home and valued it accordingly, As vendors we were made to feel part of the family. We appreciated the cheerful encouragement from all the staff at Coopers during the selling process of our house. When we were unsure of the procedures, they were there to help and always with an encouraging smile. Thank you so much for making a stressful process more pleasant than we had anticipated. I would like to thank all the staff at Cooper's not only for the service provided but for the kindness and consideration shown to me whilst a client over the past 6 years. It has been deeply appreciated. "Thank you Cooper Real Estate. I have been extremely pleased with your attentiveness, communication, honesty and advice throughout the entire process. Selling a house is a stressful occurrence for anyone and you have helped to make it as smooth as possible for us. We feel that you truly go beyond the general duties of a real estate agent with thorough follow ups, reporting and always being 'on top' of potential buyers. Also, exhausting all avenues to find that buyer has been obvious to us". I would just like to thank you all for the fabulous service provided during the recent sale of our property. Because you have been looking after the rental side of things and doing a great job there, we were very comfortable giving you the opportunity to try to sell the home, and sell it you did in less than a month! I was most impressed with the level of communication, you kept us informed of the inspection results and offers frequently and managed to get the buyer up to the price we asked for without any fuss. I wouldn't hesitate to recommend your services to others. We have recently sold our second property with Cooper Real Estate. Their service and advice certainly helped in the sales process and in achieving the desired price. From the very beginning of our professional relationship Ross and his team have been a pleasure to work with. As a real estate investor I am very particular about the qualities I look for in real estate agencies I utilise. Ross as an agent was honest and knowledgeable about the market we were selling in and worked with integrity, 3 key factors that are not negotiable in my eyes when selecting a good real estate agent. Cooper Real Estate also managed our rental investment. During this time, I found them to be proficient and exceptional communicators who always kept us informed. Ross gained an excellent sale result for us in a very short time frame and we would highly recommend both Ross Cooper and his team to any person seeking exceptional service from a real estate agent. I am writing to let you know what a tremendous asset your staff are to your business. Recently I sold and obtained a rental property through you, they were a marvellous help, very caring and professional, made everything so much easier, and I would strongly recommend your team to any future clients. It is really great to know that businesses like Cooper Real Estate, who actually care and treat you like a person and not just a pay cheque are in the business. Thanking you. I have dealt with you now on 2 properties. While I do have experience dealing with other agents for various reasons, I would like to commend you for the excellent feedback you give and prompt answers given each time I raise a question. Personally I think you have given me the best service and would never hesitate to give your reference to anyone. I would like to take this opportunity to congratulate your staff in the way they handled the sale of our house. It was their professionalism that was most impressive, they put our minds at ease in the way that we did not have to worry about how things went. At no stage did we feel any pressure about putting our house on the market with them and the communication was great when they had potential buyers through for inspections. I have no hesitation to recommend Coopers to anyone that wishes to sell their house. After many months of our property being on the market with other agents with no inspections, it was refreshing that your innovative approach towards setting our property up for Auction proved to produce a fantastic result for ourselves. We love the way you advertised the property with the professionalism and larger advertising space in the local paper that proved that more people saw our home in a shorter time. We write this testimonial to say a very special thank you to all staff for a job well done and also we would be very happy for you to use this letter to show potential clients. We wanted to say a BIG THANK YOU to Ross, Kylie & the team for all your efforts in securing a sale for our property. The decision to list our property was a difficult one but we were so glad to choose Coopers ahead of all the others. Selling a property can be a very stressful time, however our stress levels were lowered thanks to Kylie's efforts in keeping us informed of developments. To achieve a sale within 3 weeks of the property being advertised was a fantastic result. The team at Coopers Real Estate are AMAZING!! Not only did they sell our house, but they sold it in only 6 days.. and for asking price!! Everyone was a pleasure to deal with, and would bend over backwards to help us, they were just fantastic! We would recommend them to anyone selling! So thanks alot guys!! We are now one step closer towards our dream!